Gisela Chapa, refuge manager at Santa Ana National Wildlife Refuge near Alamo, is relishing the challenges of offering nature in an increasingly urbanizing area. The refuge. the oldest in the Lower Rio Grande Valley, celebrates its 75th birthday today. ALAMO — From a royal Spanish land grant to a Mexican one, to a planned luxury retirement village studded with mansions that ended in bankruptcy, the property of the Santa Ana National Wildlife Refuge has passed through several sets of hands. The final owner became the U.S. government in September 1943, when the 2,088-acre refuge became the first wildlife refuge in the Rio Grande Valley. Today the refuge celebrates its 75th anniversary with several special activities held throughout the day. “It was established as a land grant by the Mexican government to the Leal family in the 1800s,” said Gisela Chapa, refuge manager. “And after that it was an investment property for a couple that wanted to bring business down to the Valley and it was going to be kind of like a plantation, they wanted to set it up as a plantation. Those three parcels granted to the Leal family in 1843 by the Mexican government were long, thin properties, each having access to the Rio Grande due to riparian access rights the government in Mexico City recognized at the time. They were known as Santa Ana (Saint Ann), Los Torritos (Little Bulls) and the largest, by far, Agostadero del Gato (Summer Pasture of the Cats). “It could well be that the cat’s pasture name came about because of the presence in the 1800s of mountain lions, ocelots, jaguars, jaguarundis and bobcats,” wrote Foss Jones in a history of the refuge. Luther Goldman was manager of the Santa Ana refuge from 1947 to 1959. Goldman was a pioneering naturalist and nature photographer who co-authored “Wild America” with the legendary ornithologist Roger Tory Peterson after a 30,000-mile birding expedition across North America. The Summer Pasture of the Cats is no more, but in the rapidly growing Rio Grande Valley, Santa Ana is a peaceful haven where nature in many ways continues its rule. Just a few miles south of the increasingly urbanized McAllen-Edinburg-Mission metropolitan statistical area — and just 35 miles from Harlingen — the little refuge is an oasis for both wildlife and people. “ Santa Ana is 2,088 acres, a really small refuge compared to the nearly 100,000 acres of Laguna, but from my perspective it was a monumental accomplishment to establish this refuge,” Chapa said. Given the growth of the urbanized area to the north, Chapa noted Santa Ana is much more of a “people place” than the sprawling Laguna Atascosa or the Lower Rio Grande Valley National Wildlife Refuge, which is made up of disjointed segments of land with limited public access. 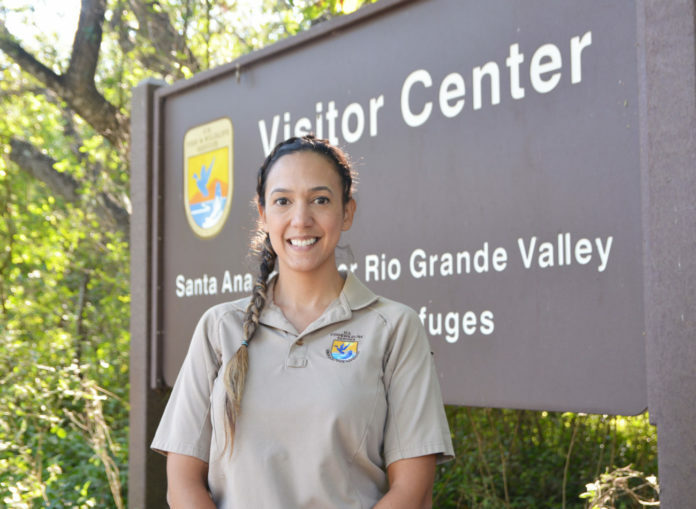 Initial funding for purchasing the 2,088 acres of the Santa Ana refuge came from sales of the Federal Duck Stamp, Chapa said. Tucked against the north bank of the Rio Grande, including several ponds and wetlands, Santa Ana is a lot of birding concentrated in a small spot. “If I’m not mistaken, there are about 730 species of North American birds, and in our region about 500,” Chapa said. “At Santa Ana, it’s been documented as being close to 400 species which throughout the seasons have been sighted. The northern jacana, a chestnut-hued water bird with a yellow shield on its head and an equally yellow bill, is usually found much farther to the south. The rose-throated becard, a small gray and black flycatcher with a spectacular bib of red, also is rare this far north. Both bird species are coveted additions to birders’ life lists.